Today I was presented with the Joab Langston Thomas Scholarship. 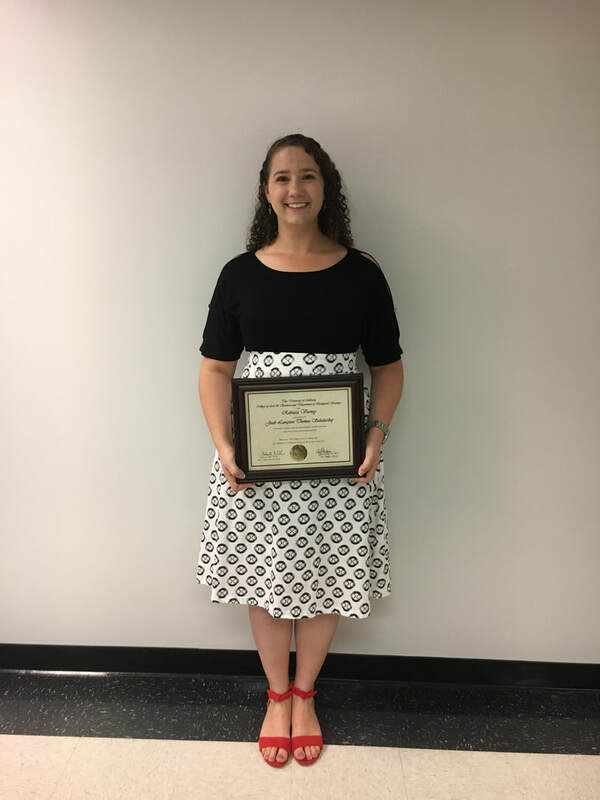 This one-time award is presented to an outstanding graduate student based upon scholarship, creativity, and potential for becoming an outstanding scholar and teacher. Thank you to my department, and congratulations to all students who were honored today! For the past two weeks, I've been up at the University of South Carolina, visiting collaborators Dan Speiser and Alex Kingston. 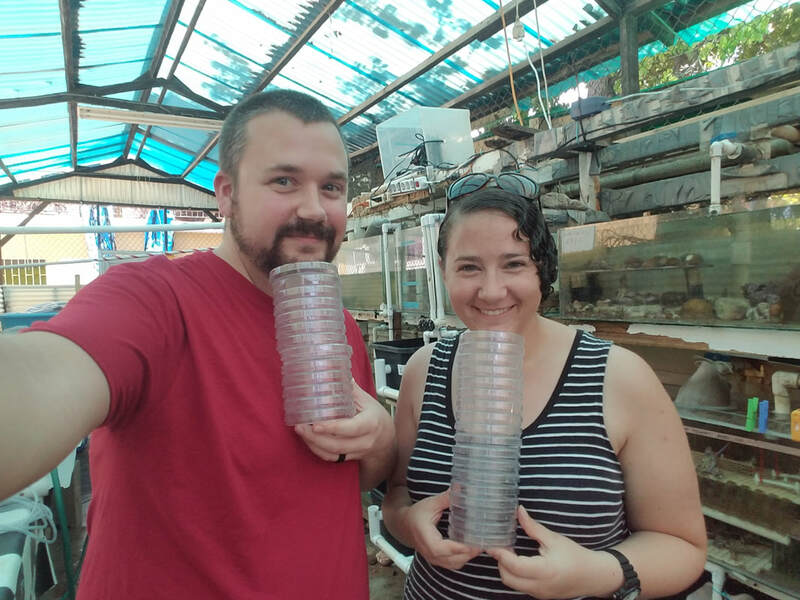 We had a phenomenal time further exploring the radula, and I can't wait to share what we found. Can't wait. Keeping the excitement properly controlled is difficult. 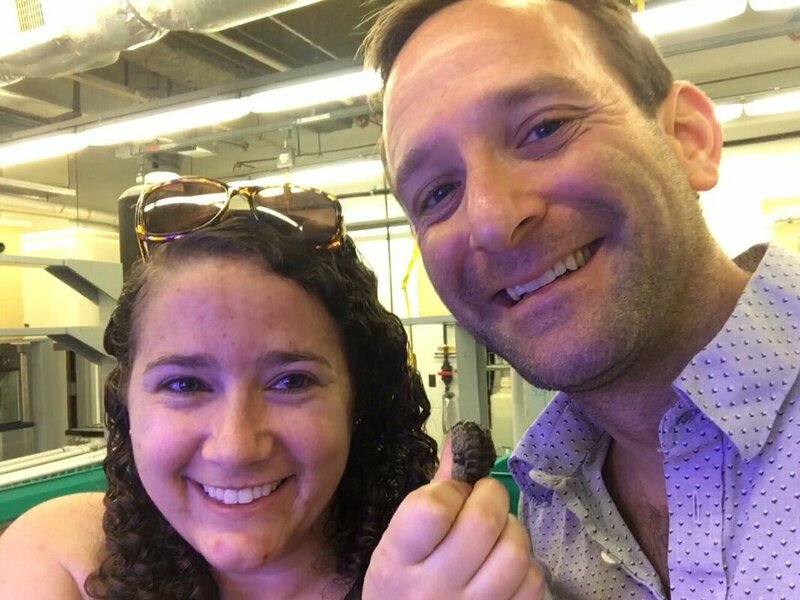 Highlights of USC included: spending time with chiton nerds (obviously! 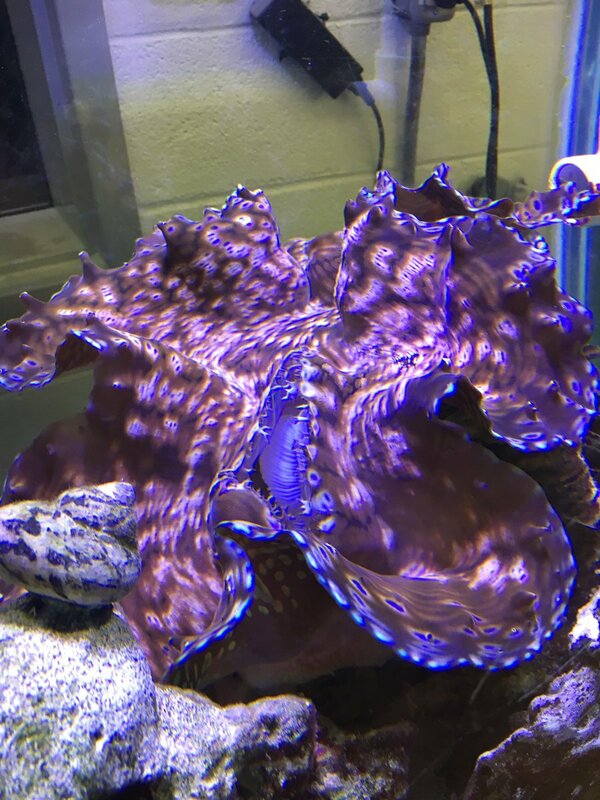 ), a giant clam downstairs, and a really cool chiton paper coming out while I was there (check it out). We also got to take some pictures on a VERY nice microscope. More soon! Scalidophora was in BRAZIL this year! It was my first time in the southern hemisphere, but there were kinorhynchs waiting to greet me! I delivered a talk on a transcriptome from a single individual, and had the pleasure of learning more morphology and sampling from the best in the world. The highlight of the conference was being reunited with my two kinorhynch mentors. Peter Funch (left of me) was my professor at Friday Harbor Labs and introduced me to my very first kinorhynch almost two years ago. 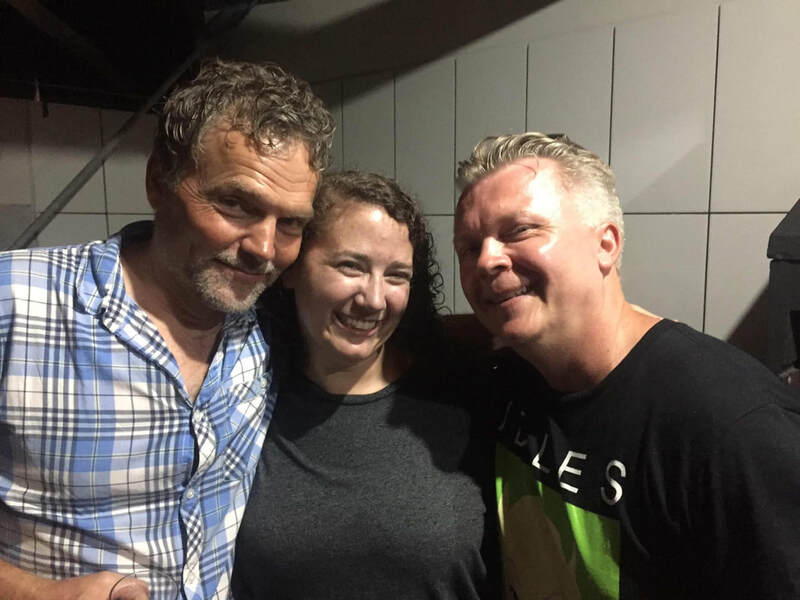 Martin Sorensen (right of me) taught me everything I know about kinorhynch morphology, and encouraged me to pursue these amazing little animals further. Working on completing this manuscript with both of them is a great feeling- look out for a new species coming (hopefully!) late this summer. 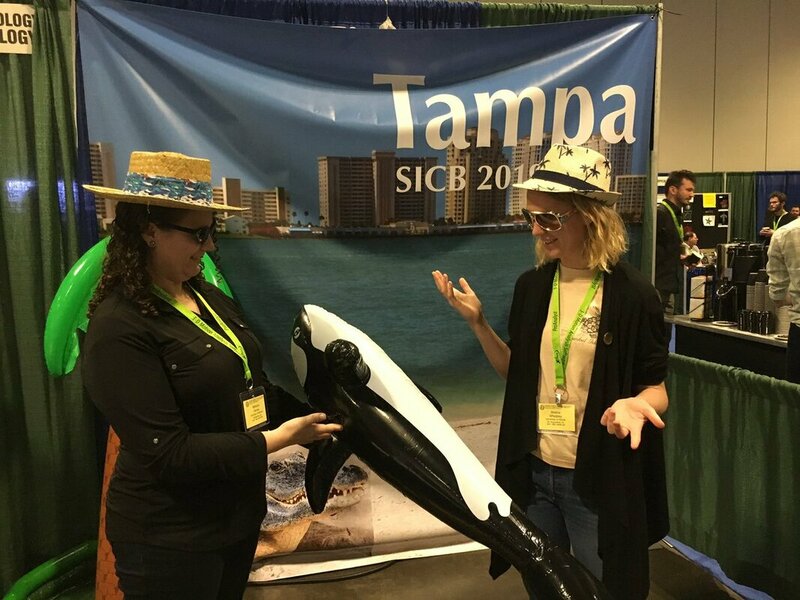 SICB2019 was in Tampa this year, and I was there with Kevin and my lab mates Maddie and Meghan. I presented a poster and got great feedback, met some amazing scientists, and got to spend time with the people I find inspiring. I'm back with lots of new ideas, excited to work, and utterly exhausted! Highlights were a lunch session run by Eliza VanCort on deliberate communication, and a lunch workshop run by Danielle Lee and Elizabeth Congdon about engagement of diverse student bodies via course design. And the talk on fire ant rafts behaving as a gel. I wrote many pages, answered many questions, and drew many diagrams, but I can now say that I am a PhD candidate. I don't have a cute picture to go with this, so here's a cool set of chiton valves instead. I used this set as a fidgeting tool as I studied- nothing like a chiton jigsaw puzzle to give your hands something to do! 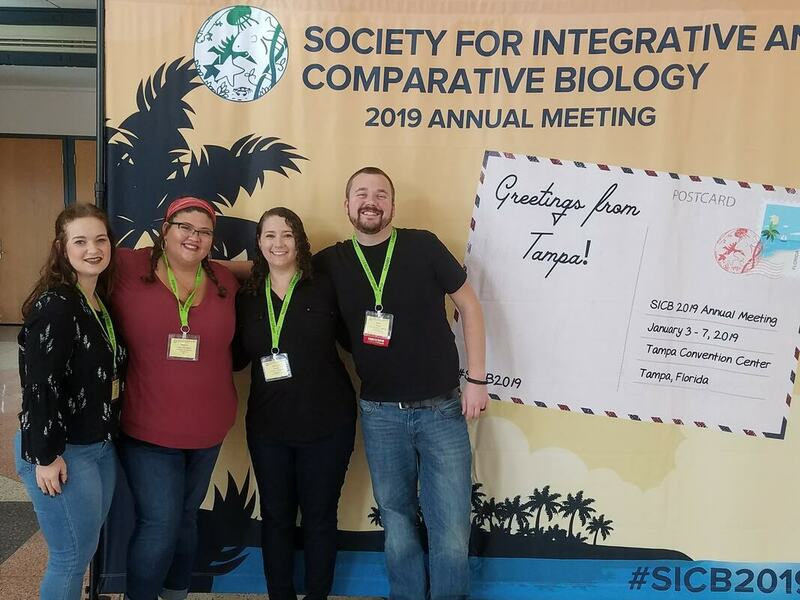 The Global Invertebrate Geneome Allicance (GIGAiii) was in Curacao this year. 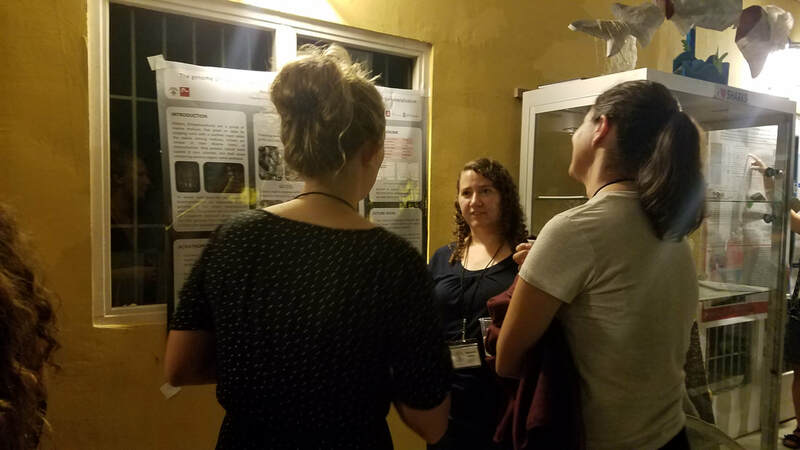 It was delightful to be surrounded by scientists equally enthusiastic about invertebrates, an enthusiasm that the conference furthered with conversation and connection. Thank you to the American Genetics Association for generous student funding that permitted me to travel and stay, even free of the worry of reimbursement! I had a wonderful time presenting my poster in what was by far the most thought-provoking and productive session I've seen. Most of us are exchanging protocols and tips now, which is great. 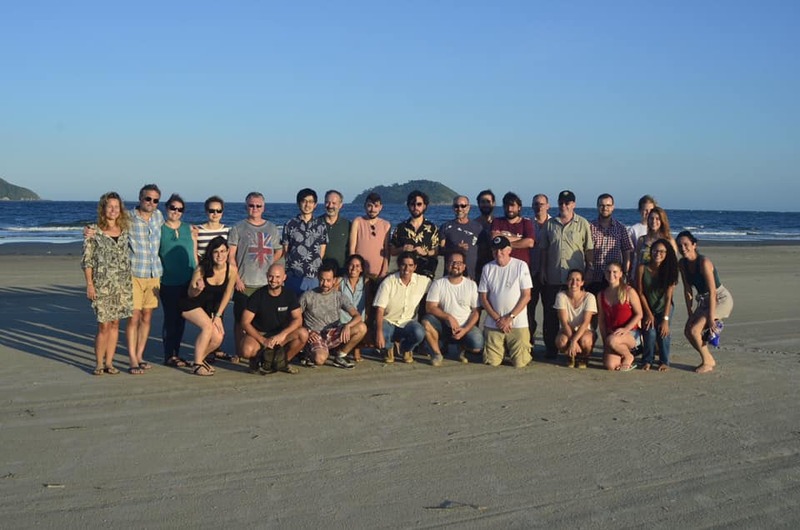 After the conference, Kevin and I stayed for another week to conduct fieldwork at Carmabi Research Station. 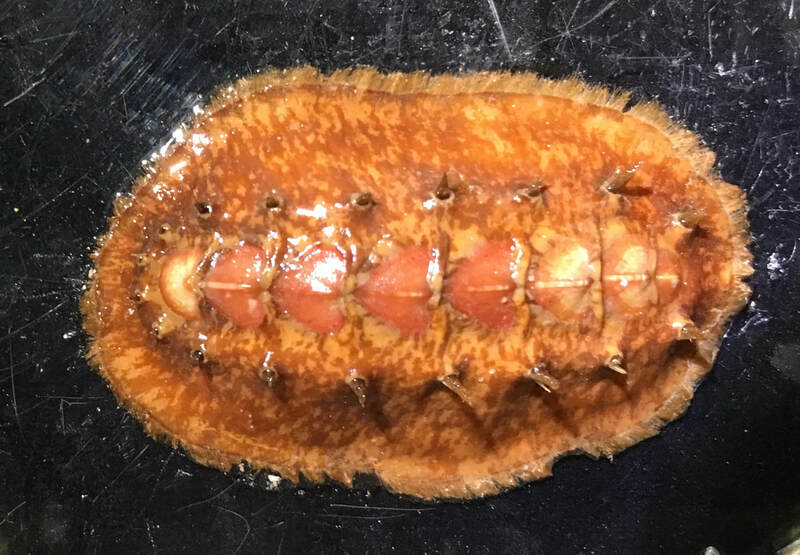 We collected chitons of three genera (check out those gorgeous sutural tufts on the left! ), and found Kevin, Meghan, and Maddie >25 solenogastres. Notably, I collected my first live aplacophorans on this trip. Thanks to the University of Alabama for the student travel grant to cover the suitcases of laboratory equipment (including microscopes!). Most memorable from the trip was my first exposure to ostracods, tiny crustaceans that produce flashes of bioluminescence defensively but also to communicate. In the best night dive of my life, we dropped without lights and watched the males flash a distinctive pattern to attract females. I had to remind myself not to hold my breath! Thanks to Todd Oakley and Jessica Goodheart of the Oakley Lab for sharing! 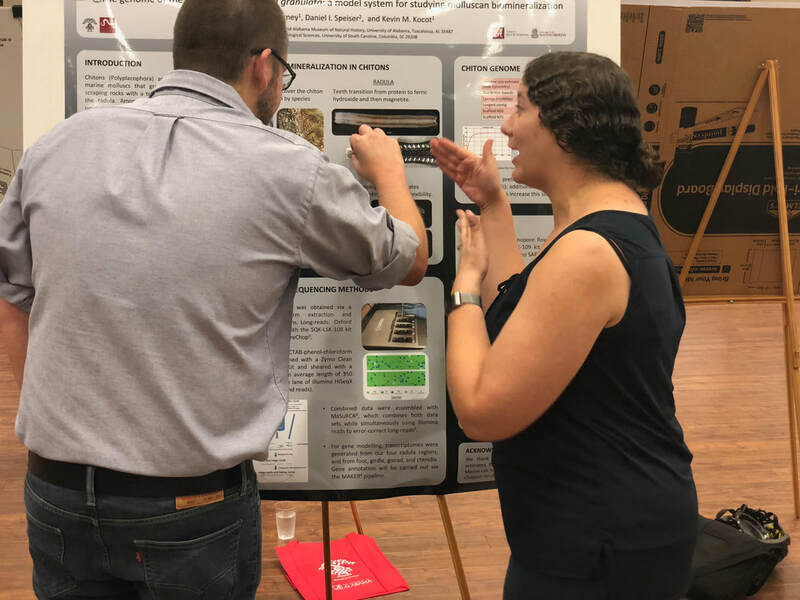 The Biology Department's annual poster session was today! I was happy to see the projects my fellow graduate students were working on, and had fun convincing them that chitons were actually amazing. My favorite element was having a radula stuck to my poster via a magnet- really gets the iron-clad point across! And clearly works on advisors as well as the general public. Bootcamp has concluded! The week went by so quickly, but it is a wonderful thing to be so heavily involved in a program that you know will impact the success of a new generation of scientists. Our students attended lectures, took exams, learned about campus resources, participated in a Biology I lab, toured through seven research laboratories, and generally got to talk to their mentors about their concerns coming in to college. We taught them how to schedule plan, ways to take notes and study, and a myriad of other small skills that can make a big difference. My group of ten students came from a variety of places and backgrounds, and that diversity added to the experience for all of us, me most of all. Last year's group still stays in touch. I hope this year's students will as well- getting updates from my students makes the success of the program tangible on a personal level in a way that our statistics on how much better bootcampers perform cannot. 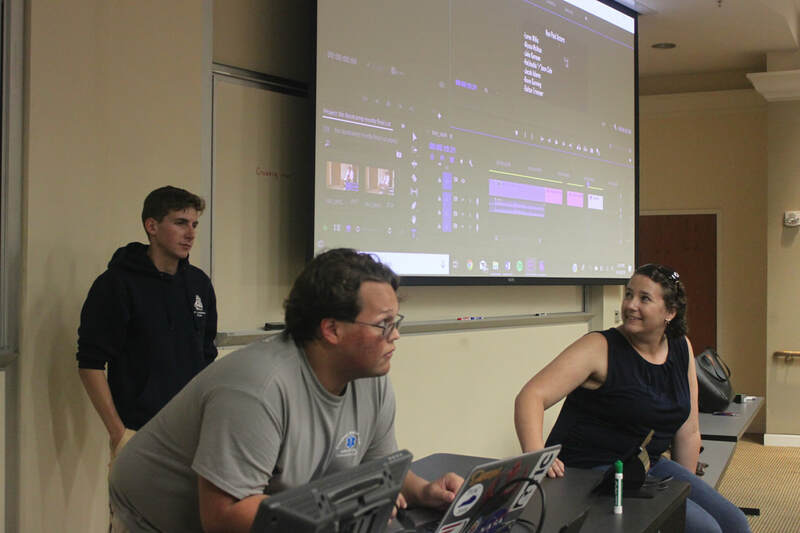 My group members and I editing our final project. 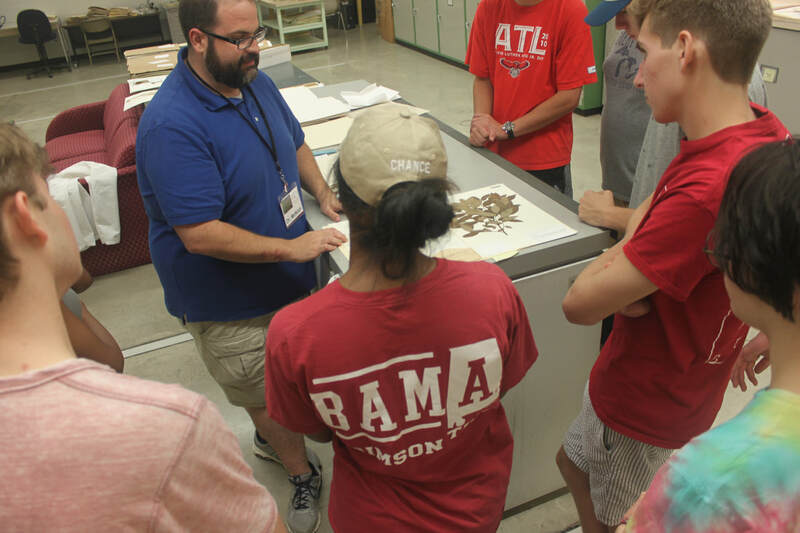 Dr. Michael McKain showing a group of students the UA Herbarium. Fruit fly examinations in the lab of Dr. Laura Reed. 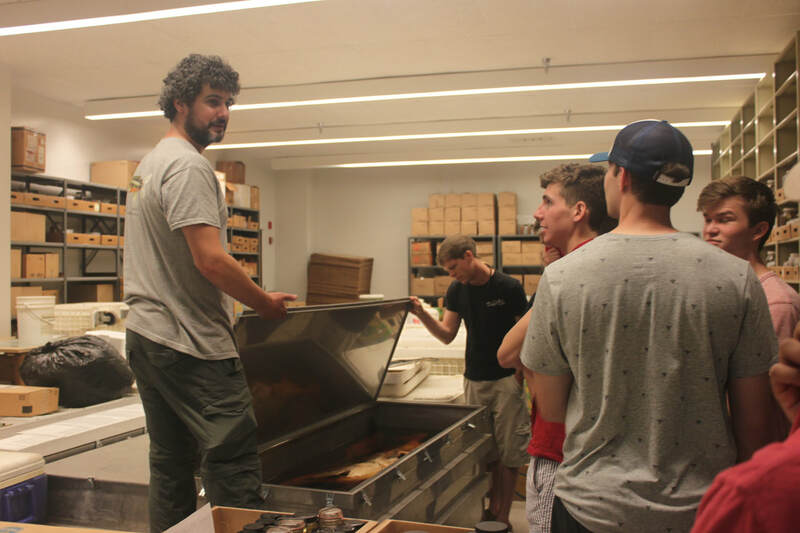 Worth Pugh showing students our UA Fish Collection. More good research news! The Conchologists of America funded my research proposal! This funding will allow me to do much more in depth comparisons of transcription within the radula. By dividing the teeth up into four "phases" of iron deposition, we will be able to ask exactly what is happening as the teeth develop. I just got back from the Florida Keys, and now have 40 samples in the freezer, ready for RNA extraction and sequencing. Very excited to move this project forward! The University of Alabama has a special connection to EO Wilson, as he got his bachelor's and master's degrees here. In fact, there is still a sketch of an ant he drew on the wall in my building. 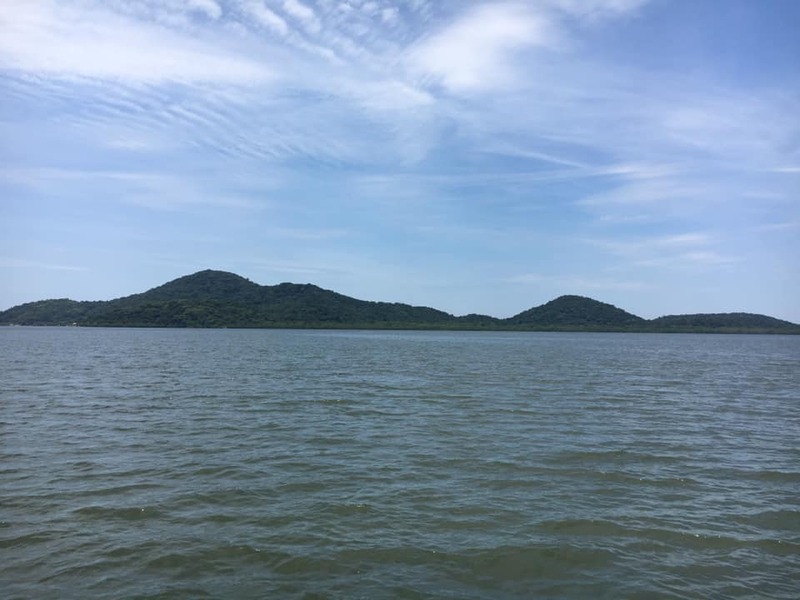 In his honor, each summer the UA Biology Department grants three students with fellowships to assist them in summer field work. I'm delighted to say that I was awarded one of these fellowships, along with fellow graduate students Sergei Bombin and Phoenix Rogers! Sergei is a budding phycologist (... can a phycologist be "budding? "), while Phoenix works on aquatic insects. I'll be using my fellowship for expenses related to our summer field work. Congrats to all three of us!